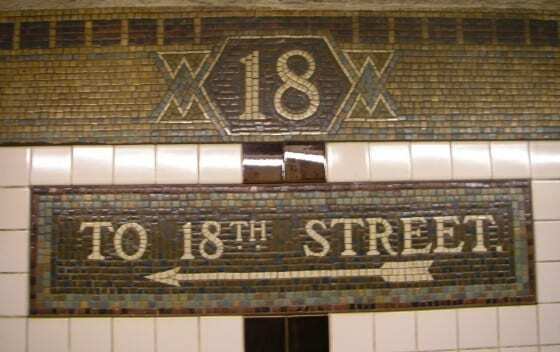 When the New York City subway system opened on October 27, 1904, each station was delineated with a mosaic-tile identification sign. Creators George C. Heins and Christopher Grant LaFarge thought that the ceramic tile signage would be long-lasting and easy to keep clean. 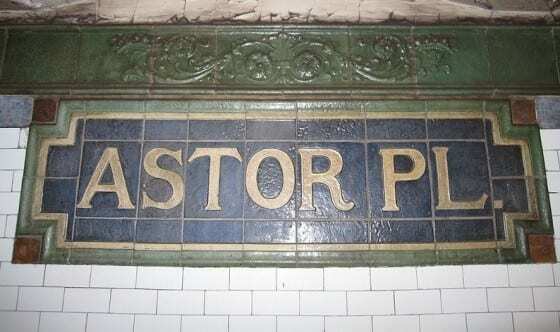 Which they obviously were: they still grace each subway stop, more than 100 years later. Some of the mosaics are pictorials that connect each subway stop to its geographic features. 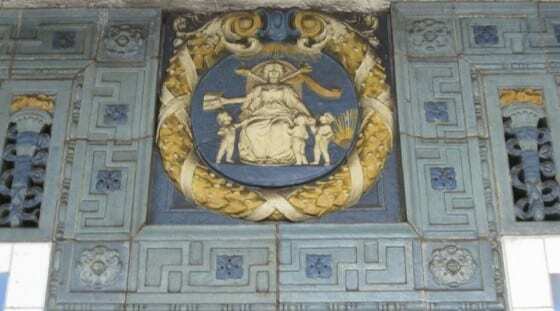 For instance, the South Ferry Loop station is decorated with a mosaic that depicts a ship sailing on water. Faience name tablet by Heins & LaFarge / Grueby Faience Company, 1904. 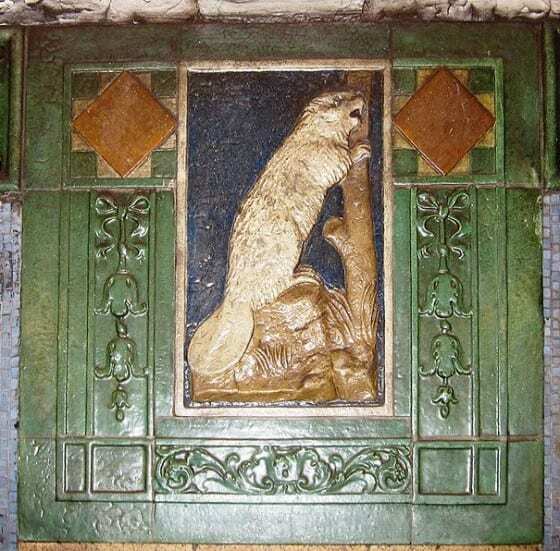 …and also has a cool bas-relief that featuring a beaver, which represents the beaver pelts that made John Jacob Astor wealthy. The featured beaver apparently hasn’t been trapped and skinned and made into a man’s hat yet. Courtesy of WikiCommons, author Gryffindor. Courtesy of WikiCommons. Author Gryffindor. 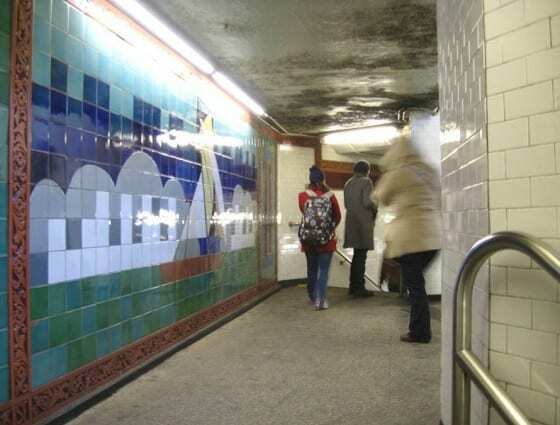 The Delancey Street station has an identifying sign and also features a glass mosaic called Shad Crossing by artist Ming Fay. The Hudson river was once a home to the fish and was a diet staple for immigrants who settled on the lower east side. Delancey Street NYC Subway Station Fish Mosaic. Courtesy of Sheila Scarborough. Some of the tile mosaics are just for beauty. Pennsylvania Station. Courtesy WikiCommons. Author Gryffindor. Times Square Station. Courtesy WikiCommons. Author Gryffindor. 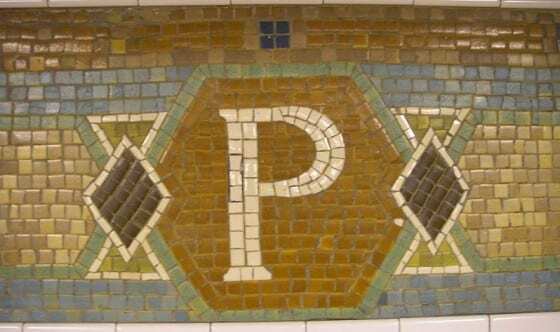 No matter what its origin, artist or purpose, each mosaic in the subway stations of New York is a unique bit of artwork… that also functions as a sign.